Mention the name Tan Sri Dr. Jeffrey Cheah, AO and one would invariably know him as the Founder and Chairman of Malaysia’s Sunway Group. After all, the soft-spoken businessman is recognized for developing some of the most iconic townships and establishments in Malaysia. These include Sunway City in Kuala Lumpur, Sunway City Ipoh in the state of Perak and Sunway Iskandar in southern Malaysia. Spanning about 5,000 acres across the country, the townships and other integrated developments comprise a host of healthcare, education, retail, hospitality, leisure and commercial entities, in a green and sustainable environment. 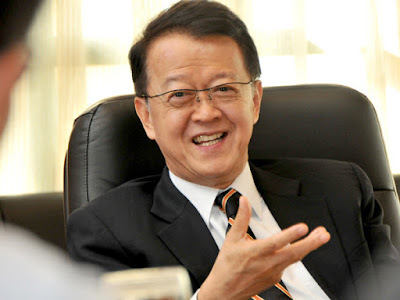 While the founder of the Sunway Group is famed for being a real estate and construction magnate, unbeknownst to many, Cheah isn’t just all about being a corporate giant in Malaysia. Such is the nature of Cheah and his convictions about Mother Earth that he does not view business, society and the environment as distinct from each other. A firm believer in protecting the earth while having benefited from its natural resources, Cheah has always strived to balance the delicate scales of progress and sustainability. He practices the Chinese philosophy of universal balance—yin and yang.